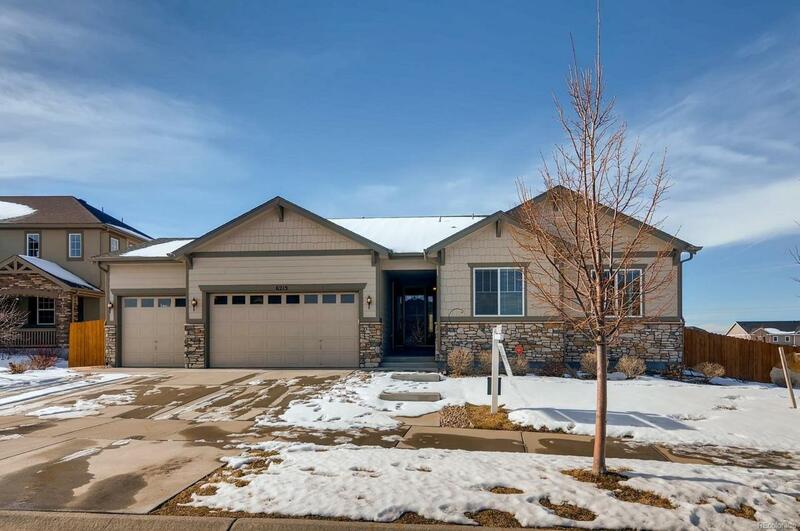 Like New Updated Ranch Home in the Highly Sought after Wheatlands Community in Aurora, CO! Driving up to this lovely home, you will love the warm paint colors, stone work and 3 car garage. Entering the home is a large open foyer that leads you down the hall into the formal living room with tray ceilings and built-in surround speakers. The luxury kitchen dining/eat-in space offers an open entertaining area. The beautiful kitchen offers updated cabinets, a large island, granite counter tops, and all stainless steel appliances, and modern pendent lights. Off the kitchen is a big office nook. There is a bright office/ study with plenty of built-ins. You will enjoy the big elegant master bedroom and all the space and lighting. The En-suite bath is updated with dual vanity, soaking tub and walk-in closets. There are 2 more large bedrooms and a full size updated guest bathroom all on the main floor. This home is located near the schools, clubhouse and parks. Cherry Creek Schools! © 2019 Information and Real Estate Services, LLC. IDX information is provided exclusively for consumers' personal, non-commercial use and may not be used for any purpose other than to identify prospective properties consumers may be interested in purchasing. Information is deemed reliable but is not guaranteed accurate by the MLS or Kittle Real Estate. Data last updated: 2019-04-26T11:38:09.747.